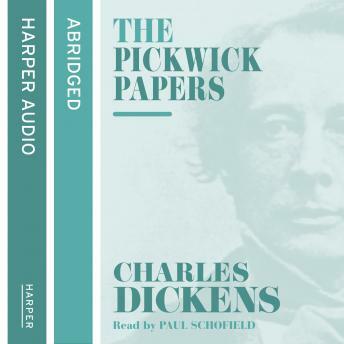 The novel that launched Dickens as an international celebrity, The Pickwick Papers is a loose collection of Samuel Pickwick's adventures with his friends, and became a serialisation phenomenon upon its release.The Posthumous Papers of the Pickwick Club or more commonly known as The Pickwick Papers is the first novel by Charles Dickens.Written for publication as a serial, The Pickwick Papers is a sequence of loosely-related adventures.Mr Samuel Pickwick Esquire is the main character in this novel. He's a kind and wealthy old gentleman, and the founder and perpetual president of the Pickwick Club. His fascination and gerenal interest in the unique and bizarre extends to a journey that takes place with three other 'Pickwickians' (Mr Nathaniel Winkle, Mr Augustus Snodgrass, and Mr Tracy Tupman) who journey to remote places from London and report on their findings to the members of the club.